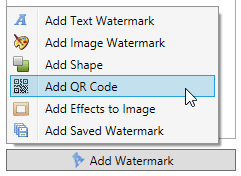 One of the new types of watermarks introduced in uMark 4 is QR code watermark. What is a QR code? 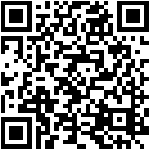 A QR code is a code like a Barcode which contains encoded information and can be scanned to read that information. You might have seen the square black pattern of QR code somewhere, in a magazine or newspaper, on a billboard or a flyer. QR codes are a great way to pass information along to people on their mobile devices. A very common use of QR codes is to put links in the form of a QR code so people looking at the code can just scan the code and browse to your link instead having to manually type it in their browser. 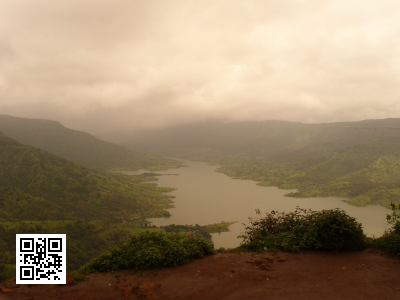 You can do the same thing by adding your link as a QR code on your photos as a watermark. To add a QR code watermark select the photos and then click on Add Watermark button and from the menu that appears select Add QR Code option. 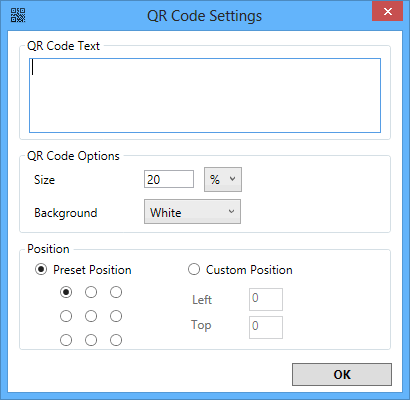 When you do that a QR Code Settings window will open up where you can write the text you want to be converted to QR code. You can write your name or just put a link to your website, blog, Facebook profile or portfolio in there. As you are typing the text you can see a QR code being generated on the photo. You can set the size of the QR code. The size can either be in proportion to the photo being watermarked or it can be a fixed pixel size. You can also select whether the background of the QR code should be white or transparent. QR code with white background is easier to scan. Finally you can set the position for the QR code. Like all other watermarks in uMark, you can either select one of the 9 predefined positions or place the QR code at a specific postilion. You can even drag the QR code around to place it at a specific postilion. After you are done setting the various options for the QR code, click on the OK button. If you wish you can add more watermarks or you can save the watermarked images by clicking on the Save Images button. When you share these photos with QR code on top of them around people may scan the code out of curiosity and can browse to your site effortlessly. Scan the QR code on following photo and see where it takes you.